This little book (75 pages,) won a writing contest. The rules were that it had to be about Christmas and it could not be any more than 20,000 words long. 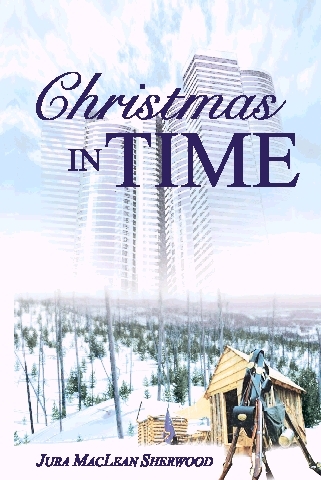 A romantic time-travel, it has been hugely popular. The publisher has since gone out of business, but I still have copies available. Click on the "Autographed Books" link above. I'm looking for a new publisher. Summer is running for her life, when she runs through time, and into the arms of an army officer in the American Revolutionary War. On a cold, snowy night, just before Christmas, Summer Day escapes an abusive relationship by driving her little sports car north to New York. When her car spins out of control on an icy freeway she is forced to walk... right into a 1776 outpost of George Washington's Continental Army... and a forever love.